We can organise French classes at your school or university premises in accordance with your academic calendar. Alliance Française de Dhaka has the exclusivity of DELF diplomas in Bangladesh. French national diplomas are delivered by the French government and recognised worldwide. 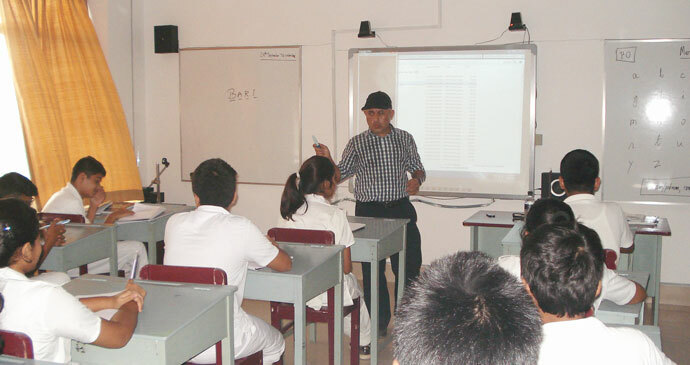 DELF is undoubtedly an added value to the students’ curricula. Preparing for DELF can therefore come in addition to O and A levels. DELF A1 can be achieved in 150 hours! For example, considering the period system in the schools, French class could be organised once a week for two consecutive periods for a total of 33 academic weeks (50 hours). The DELF A1 exam could be then taken after three consecutive academic years.